I love doing advice and lifestyle posts as I think there’s so much each person can share to help empower and inspire others; everyone has a different point or experience with a topic, so there’s lots to learn and hopefully use to move people’s thinking forward on certain matters. I love talking about food, health, lifestyle and good eats, but there’s still so much personal stuff I would love to explore through this blog I’m just waiting for the right moment. But enough with all the seriousness! 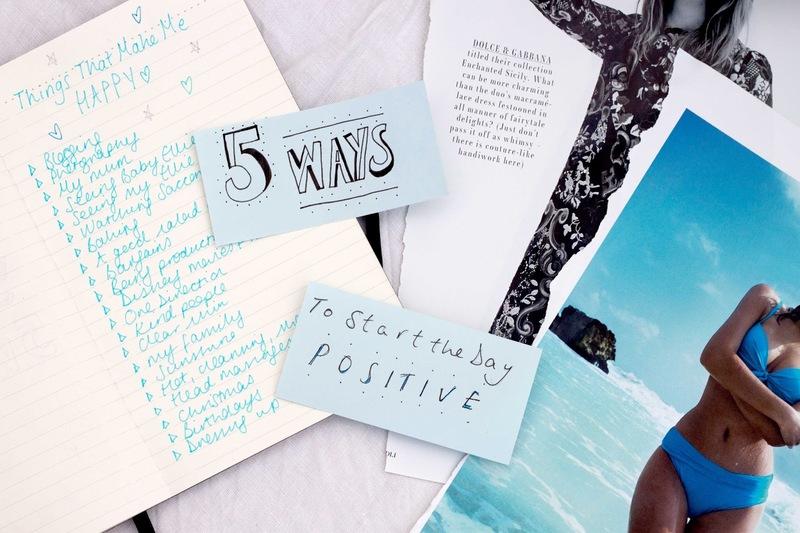 Today I wanted to do a quick little post to boost your mood and positive thinking this morning (or any morning, afternoon, evening), and get you raring to go with all your life and daily endeavors – let’s get happy. Yoga Stretches – Ideal for getting your energy flowing, getting your bones and muscles back in shape after a twisted sleep, loosening up your tension and posture, plus it improves flexibility – whack on some YouTube workouts for 10 minutes and you’ll be as clear and refreshed as ever. Writing Down Thoughts – Whether it’s a dream from last night, a deadline panic, or an appreciation of something in your life, write it down. Clearing your mind of thoughts and pre-occupied states will help your brain and mind wind down and be more able to think about things you need to do in the day, and also give you better ideas! Have a Special Breakfast – There’s nothing nicer than a good satisfying meal, and seeing as breakfast is the most important of the day you should make it epic! Add some cinnamon, almonds, sliced strawberries to your granola or porridge, or maybe bananas on toast with some Nutella or honey? Make it good, make it Instagram worthy (see my regular porridge posts 😉 and most importantly make sure it fills you up and releases energy slowly! Use Fancy Skin Products – How do you treat yourself without having to dive into the food aisle? A face mask of course! Once a week, try a deep steam over a bowl with a thermal, unclogging face mask or a skin brightening miracle to make your face glow; use your fancy face oils and cleansers to enrich the skin and make it feel as soft as the first ever layer. Blast Out Uplifting Music – Nothing beats a bit of empowering pop first thing in the morning to get you switched on and ready to face the day; currently I love Taylor Swift’s ‘Shake It Off’ which makes me want to shake, shake, shake, and Beyoncé. Always. 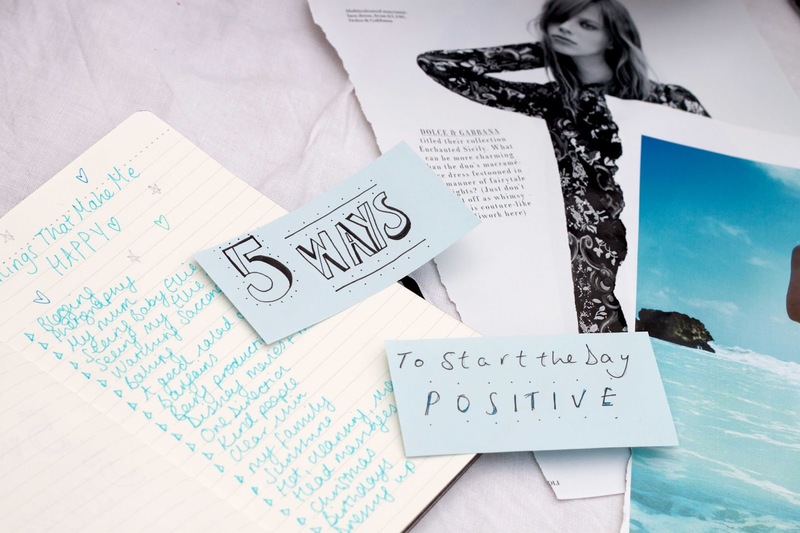 Do you have any good tips to start the day positively and with a fresh attitude? What’s your favourite uplifting song?